The owners of Sunset Gower Studios believe the key to its future lies squarely in its past. Since acquiring the former home of Columbia Pictures five years ago, Hudson Pacific Properties has initiated a plan to simultaneously upgrade the facilities while preserving their historic nature. Management is betting a younger generation of filmmakers will want to work beneath a window overhang installed to give Rita Hayworth’s makeup man natural light. Or gaze up at the roof partition erected so “Gilda” could privately sunbathe au naturel while also having access to hi-def control rooms. When the company acquired Sunset Gower and next-door neighbor Sunset Bronson Studios shortly thereafter, it analyzed the facilities’ client base and where media technology was headed before coming up with a plan the studios’ client base further. The owners upgraded the studio’s control rooms and brought fiber optics to all buildings, also turning their attention to the “writers’ courtyard” adjacent to the building housing Columbia’s bygone team of scribes. Hudson Pacific wants to create “not so much an industrial filmmaking lot but a campus, introducing some landscaping, gathering areas and meeting areas; moving away from that hard industrial edge,” says exec VP Christopher Barton. Gower’s production offices and sound stages are teeming with long-term tenants, some drawn to the attractive grounds and spiffed-up offices alone. The pervasive sense of history seems to matter as much as the modern trappings. Even Columbia’s less classy product (the Three Stooges filmed there, nyuk nyuk) is seen as a plus. “We’re also reminded that Stage 7 is where they shot ‘The Monkees’ and ‘The Gong Show,’ and that helps us have a sense of humor when things get tough,” Sorkin says. Over the next four years Hudson Pacific will turn more attention to Sunset Bronson, where Warner Bros. shot “The Jazz Singer” before the studio moved to Burbank. A 400,000- sq.-ft. development including a parking structure is scheduled, and a $250,000 exterior renovation of Jack Warner’s mansion building — the site’s one historic landmark — has just been completed. “There’s no reason why we can’t bring about both technical and aesthetic improvements while preserving the historic nature of the studios,” Barton says. 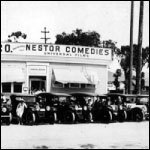 New York-based Nestor Films relocates to Sunset Boulevard and Gower Street, becoming the first studio in Hollywood. 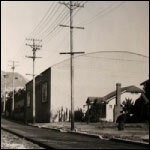 William Horsley builds a film processing laboratory and studio on the south east corner of Sunset and Gower. 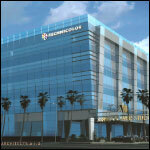 Columbia purchases facilities on Gower Street and an office building on Sunset. 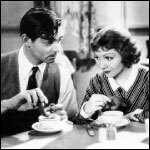 “It Happened One Night” wins 5 major Oscars for Columbia, establishing it as a serious independent. Frank Capra’s “Mr. Smith Goes to Washington” was filmed on the lot. “The Jolson Story” becomes Columbia’s highest grossing film of all time. Columbia establishes a television arm, which makes it one of the first studios to invest in the new medium. 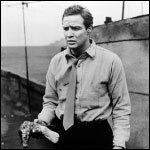 “On the Waterfront” won eight Oscars including Best Picture. NBC series “I Dream of Jeannie” was filmed on the lot. Columbia merges with Warners and ceases operations at Sunset and Gower. Production companies take over leases. “Married With Children” debuts and is among a slew of the TV shows shot there. GI Partners buy Sunset Gower Studios. Technicolor begins construction on future home.